20 Thanksgiving Hacks That Will Take The Stress Out Of Your Holiday Dinner. Every year I cook a dinner for 80+ people at the local shelter. Along the way, I have learned a few things about preparing and serving a huge meal and how to keep the stress it puts on our family minimal. The best thing you can do for yourself is to plan ahead. You will be shocked at how smoothly things run with just a little bit of planning ahead. There are only two full weeks before the big day is here. This means the time to plan is now. the sooner you get a jump on things, the easier your big day will be. Know what size turkey you need. A general rule of thumb is 1 pound per guest. So, if you’re having 12 guests, you’ll need a 12 pound turkey. Prepare your pies up to 2 weeks out and freeze them. You can also bake cakes (and cupcakes) two weeks ahead of time and freeze them. Just take them out the night before and frost them as usual once they are thawed. It only takes a couple of hours for a cake to thaw. 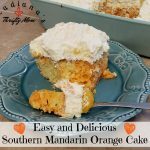 I love making this Mandarin Orange cake. I freeze it ahead of time then take it out and ice it on the day of the dinner. Two weeks out, go over every recipe and make sure you have the equipment and utensils you need to pull them together. Two weeks out, make turkey stock and gravy and freeze for the big day. Cranberry sauce can be made a couple of weeks early as well and kept in the freezer. Sweet potatoes can be prepared and frozen two weeks before Thanksgiving. Simply take them out the night before to thaw and bake to warm on Thanksgiving Day. Know how big your turkey is two weeks before and make sure you know how long it will take to thaw and cook. Plan two grocery shopping trips. The first trip is two weeks out, to get all of the non-perishable items for your day and two days before to get all of your fresh ingredients. On the Tuesday before Thanksgiving, grate all of your cheeses and toast all nuts. Place them in the bottom drawer of your refrigerator until you’re ready to use them on Thanksgiving Day. If you are going to brine a large turkey, use a cooler. This saves major space in your fridge! Peel, cut, and soak potatoes for mashed potatoes the day before. You can store them in water, overnight in the fridge. Chop your fresh veggies the day before and store them in an air-tight container, overnight, in the fridge. Plan out all of your serving dishes and utensils the day before to save confusion on Thanksgiving day. I even like to label them so my kids can help when the time comes. Use as many no-bake recipes as you can find to save your oven for other dishes. These no bake pumpkin pie cheesecake bars are always a hit with my family and friends. They just take a few minutes to whip up and don’t take up any of your precious oven space! Use a cooler to keep food warm while waiting to be served. Cover the “kids table” with kraft paper and place two crayons at each place setting for entertainment. Add a coloring sheet, draw a tic-tac-toe board, or add Thanksgiving Mad Libs for fun. Kids won’t resent the ‘kids table” if it looks like fun! Create a “teen table” for the kids in the family who are 12 and up. Not only will this give the older kids their own space, but it gives the younger kids something to look forward to as they get older. Cook your sweet potatoes in the crock pot. Or you can cook your mac and cheese in there. Anything you can do to free up some space on your stove and oven will help tremendously. These can even double as serving dishes if you have a buffet style setup (which many southerners do). Plus, your kiddos can help out! Remember, Thanksgiving is about spending time with your family and friends. So, if everything doesn’t go exactly as planned, just laugh it off and have fun. 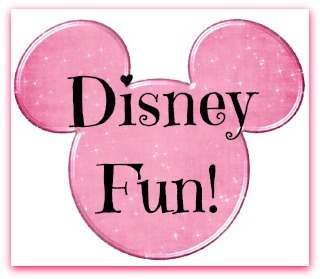 Even the biggest snafu can become a fun, lasting memory.